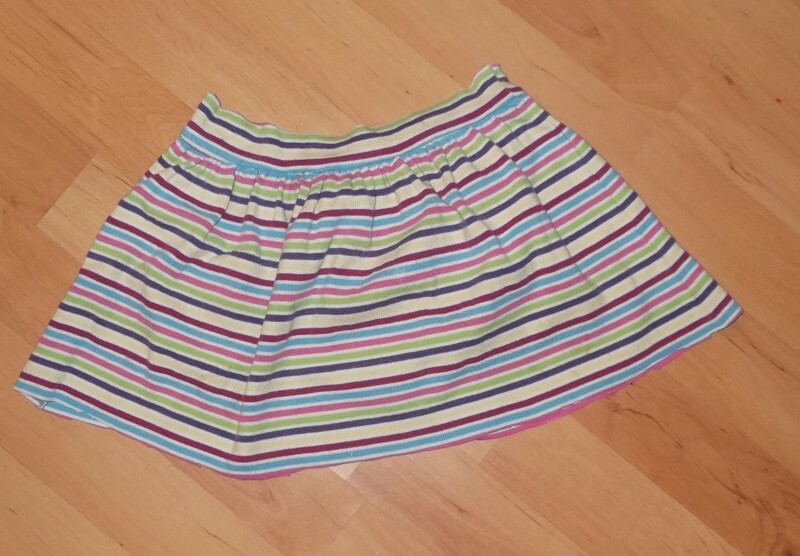 I had a few items of clothing my toddler had outgrown which I decided to turn into refashioned clothes. 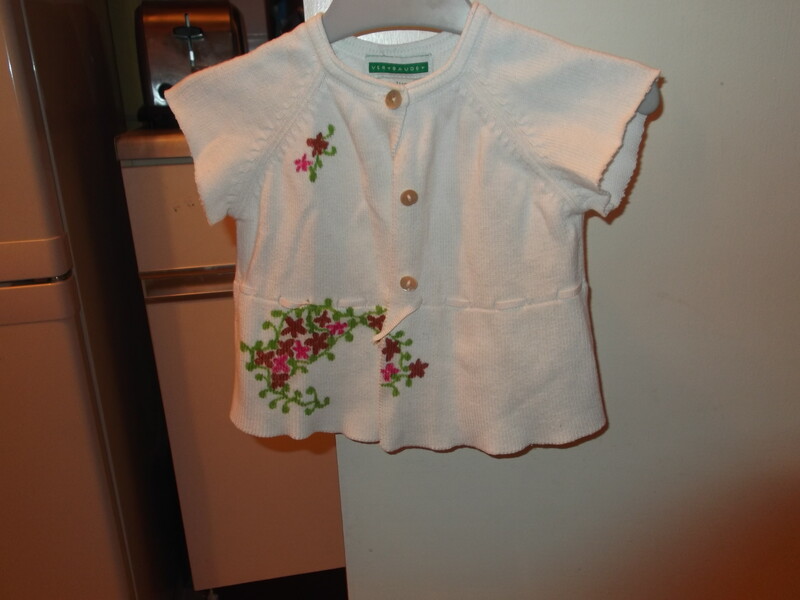 Among other things, I had this plain white cardigan (forgot to take a picture when it was still only white) It had a balsamic vinegar stain at the front, so I hand-painted some flowers and leaves and ended up with an even nicer short sleeved embellished cardigan. 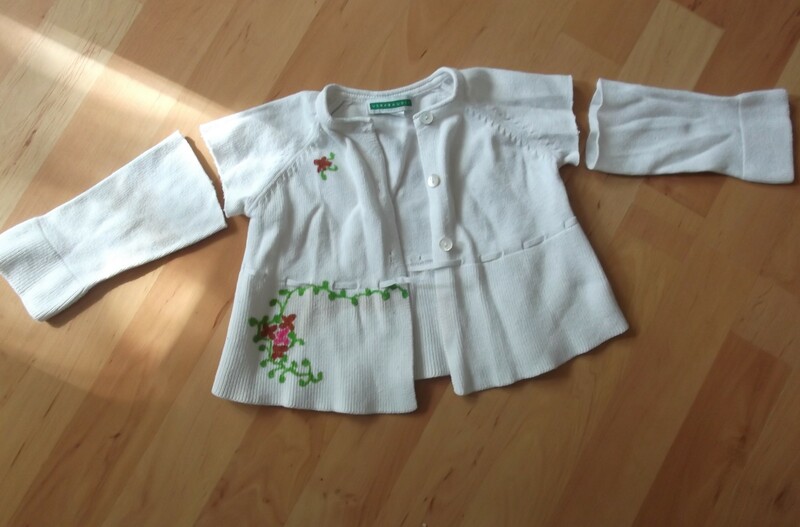 You can actually make about any piece of clothing for your dolls with fabric remnants, and the best about the things you see here is that they are all no-sew little projects that your children can help cutting, twisting, pulling, folding and putting on. 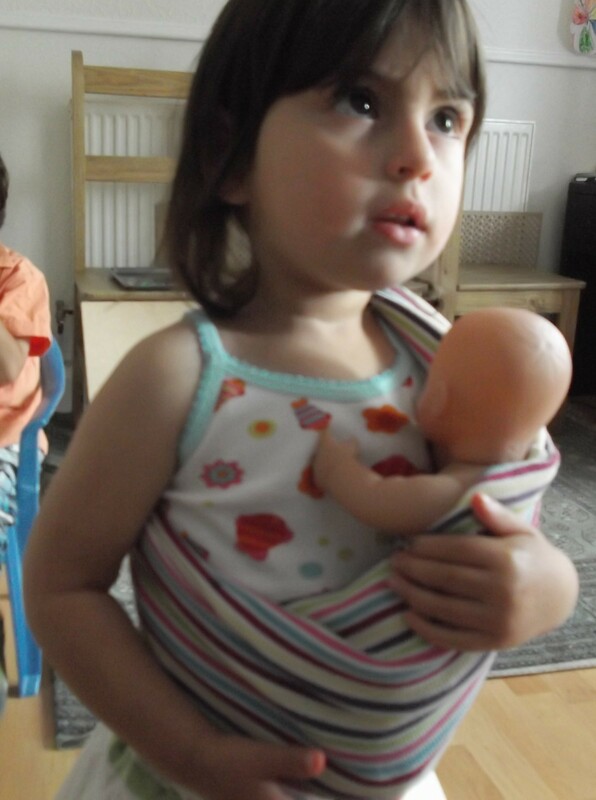 doll summer-dress: one sleeve on a doll, cut fringe a the bottom. 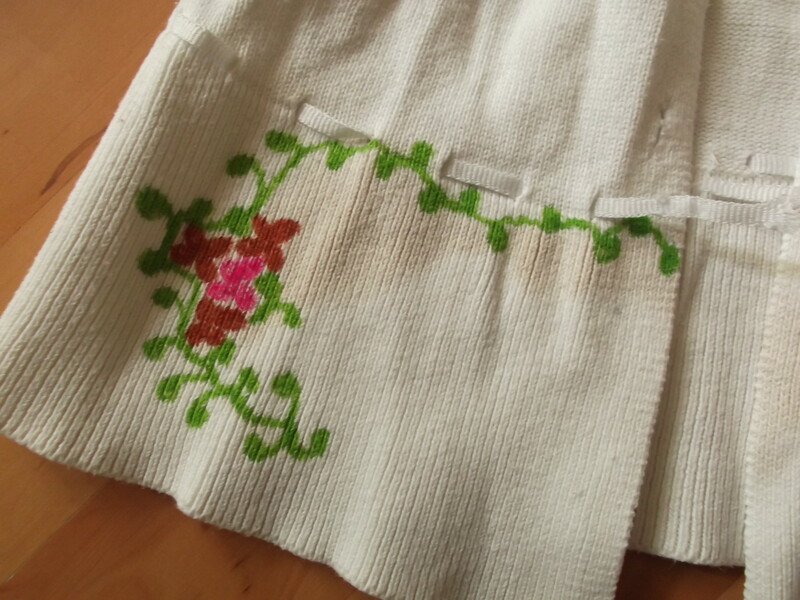 mouse white dress: sleeve on the mouse, turned outwards at the top and fish painted on the front with permanent markers. To me, the mermaid was the best and my toddler thought the same. 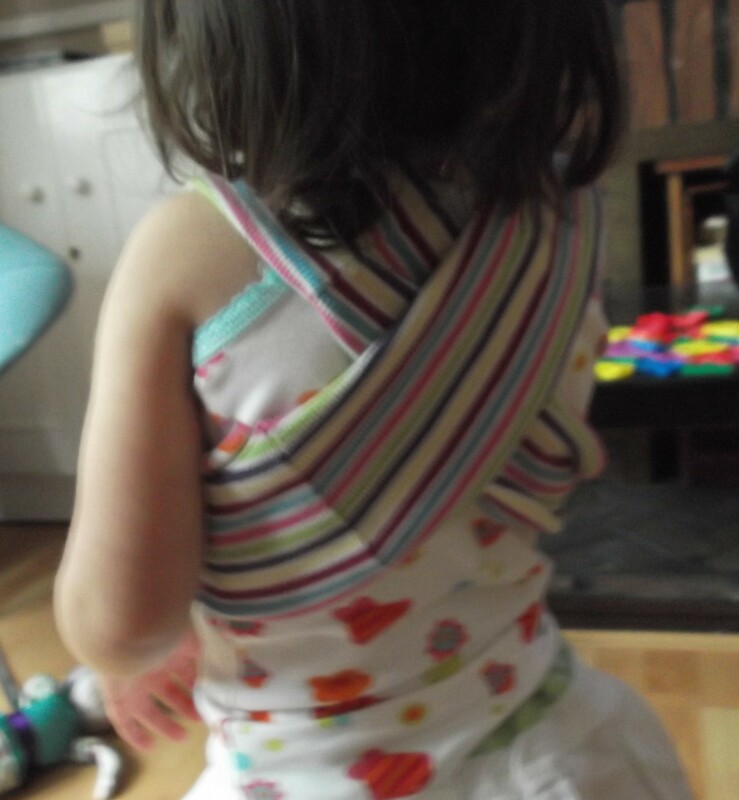 Suddenly, another idea struck my mind, and with the rest of the former dress, which simply turned into a huge loop, we made a dolly sling. So what can I tell you, she loooooved it! 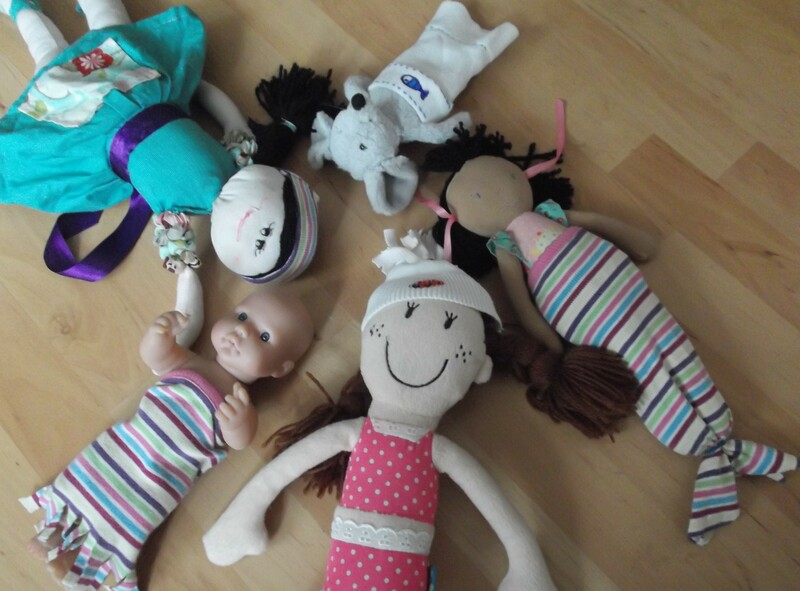 This entry was posted in Homemade Toys and Games Ideas and tagged doll clothes, fabric remnants, hand made dolls, no-sew, recycled, ropa munecas, sobrantes tela, upcycled by Bodymindsoulparenting. Bookmark the permalink. 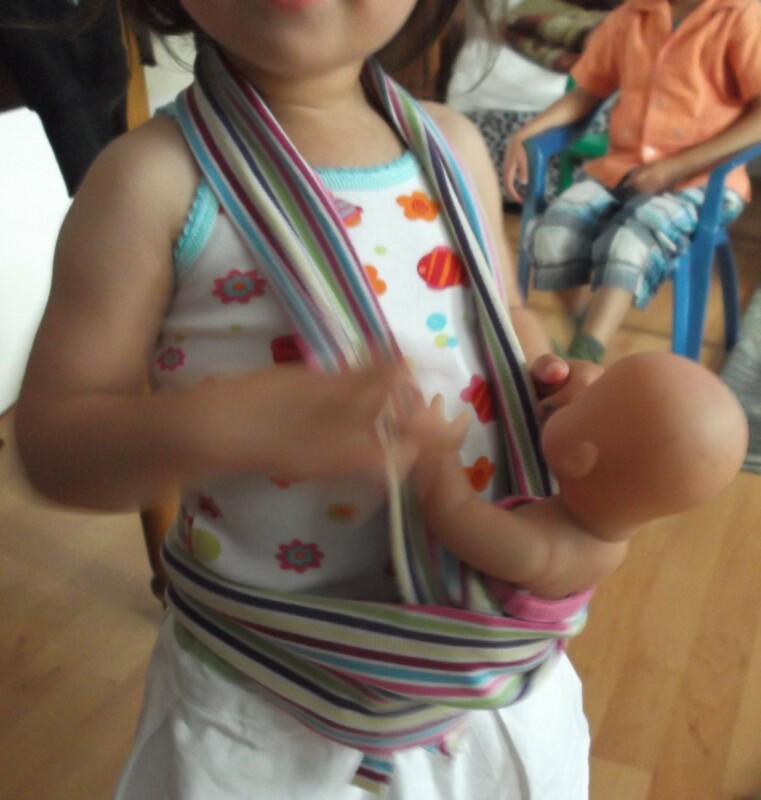 the doll sling is AWESOME!!!!! I LOVE IT! Thanks for stopping by Lanita!